Saskatchewan Roughriders contracted Insightrix to conduct a survey with Saskatchewan residents to understand how the team is perceived by Saskatchewan residents, especially among younger demographics. In late 2016, the Saskatchewan Roughriders contracted Insightrix to conduct a survey with Saskatchewan residents to understand how the team is perceived by Saskatchewan residents, especially among younger demographics. The Roughriders aimed to identify different segments within their fan base to understand how they engage with both the team itself, and with the Rider brand overall. Insightrix was able to reach out to Saskatchewan residents through SaskWatch®, the largest Saskatchewan-based online research panel, which currently numbers over 15,000 Saskatchewan residents as dedicated members. Quotas were also set by age and gender to make sure the survey respondents mirrored the provincial population. Sports are an example of a highly intangible and personalized service – each participant, spectator or fan receives a unique set of benefits from their participation. Sports, in general, are publicly consumed and customer satisfaction is related to social facilitation. The sport product is inconsistent and unpredictable. Marketing and communications teams for sport teams have little or no control over the core product. Sports have a relatively universal demographic appeal. To confront the sector-specific characteristics mentioned above, specialist segmentation approaches (unique to professional sports supporters) were adopted by Insightrix. 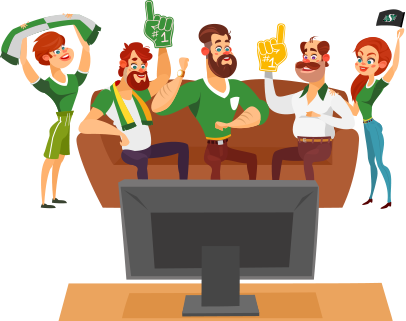 Emphasis was placed on the importance of a sport fan’s values (ranging from “I bleed green” to “I do not care about the team”) along with the number of games fans watch every season. This detailed analysis addressed the complex linkages between the Roughriders supporters’ motives (for example winning, entertainment or self-image) and their loyalty and behaviour. It also assisted the team to understand the actual demographics and motivations of their fans, as opposed to preconceptions or stereotypes. This, in turn, assisted and informed the Roughriders to better facilitate and encourage engagement with Saskatchewan residents and be better prepared to help their fans create positive memories during special situations, like watching the game in the new Mosaic Stadium. Hear more about the brand research employed by the Saskatchewan Roughriders in the LESSONS LEARNED IN MARKETING podcast by Phoenix Group.